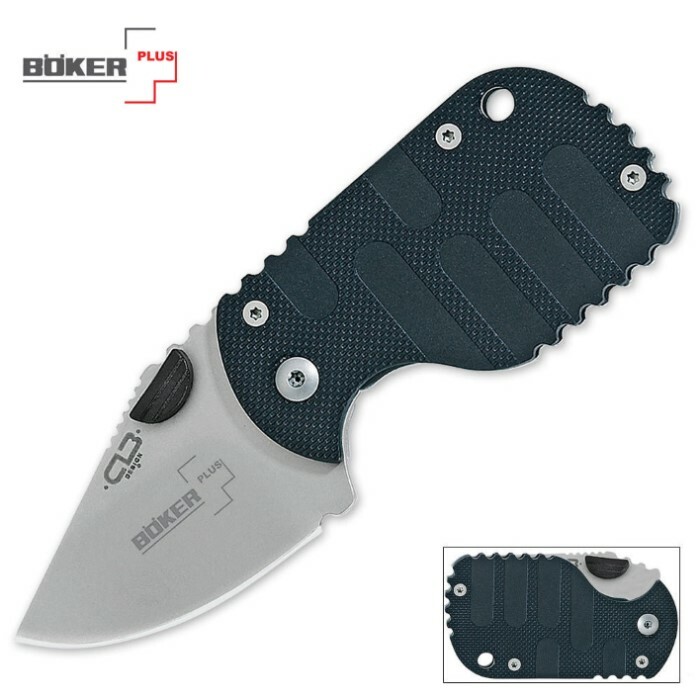 The Subcom Tactical Pocket Knife is designed to fill the hand yet remain small enough to stay out of the way. The compact size, only 2 5/8 in. closed, fits comfortably into the largest hands. The satin 420J2 stainless steel blade is 1 7/8 in. long, an acceptable size in most municipalities, yet provides a remarkable amount of cutting surface. The gray nylon-reinforced textured handle offers a secure grip under all conditions. A stainless steel frame lock design includes a sturdy clip that is reversible and can double as a convenient money clip. Bought a few months back and it's razor-sharp!!! Easy to open and very easy to conceal, holds money too.